The Hubbs-SeaWorld Research Institute has been raising white seabass to release back into the wild population for years. A new report, following a two-year-old Voice of San Diego investigation, found few of those fish were surviving in the wild, and many were deformed. For years, the state has paid the Hubbs-SeaWorld Research Institute to breed and release white seabass into the ocean. The goal was to spawn enough new fish to help overcome threats from pollution, overfishing and habitat destruction. 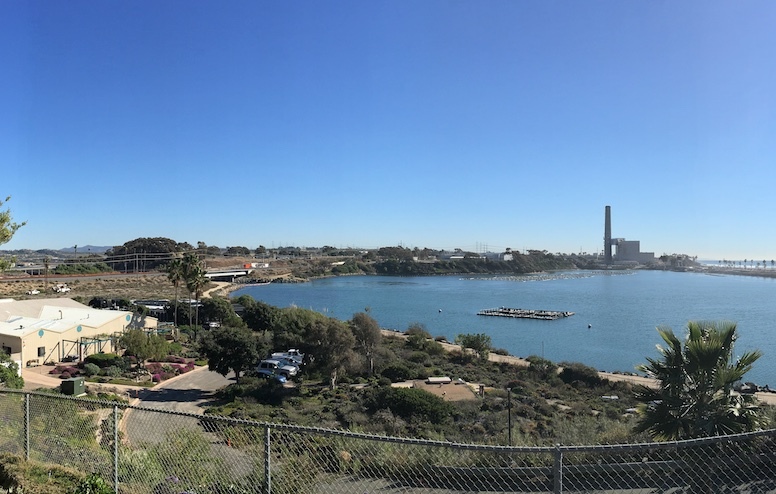 But years of experimental fish breeding at Hubbs’ Carlsbad hatchery have done nearly nothing to help restock the ocean, according to a new report by an independent panel of scientists. Instead, the program has potentially threatened the health of the wild white seabass population. The state has spent $22 million on the program over the past 15 years. In recent years, that’s amounted to about $12 per fish released into the ocean. After all that, fish spawned in the Carlsbad hatchery make up less than 1 percent of the white seabass population off the coast of Southern California — perhaps as low as .036 percent. Most damning, though, is what might have happened if that number was higher: The hatchery could have endangered the wild white seabass population by introducing genetically maladapted fish into the ocean. Normally, natural selection helps weed out weak young fish — the weak are eaten or die some other way. In the hatchery, however, fish just swim around and get fed by humans, allowing weak ones to survive. They then get released and pass on their weakness. Luckily, the genetic threat has been relatively low because of the “extremely small possibility that a hatchery fish will survive to spawn with wild fish.” In other words, the program’s failure has perhaps kept it from being a disaster. For years, Hubbs and the fish breeding program received considerable positive attention, with problems rarely discussed in public. Then, in fall 2015, the state’s Department of Fish and Wildlife asked the California Sea Grant Extension Program at the Scripps Institution of Oceanography to review the breeding effort. The new report is the result of that work. In early 2016, Voice of San Diego also published a story based on internal documents that showed problems with the breeding program: An untold number of the fish were deformed and thought unlikely to survive long in the wild. Hubbs has also killed hundreds of thousands of white seabass through negligence and mishaps or because its fish were deemed too genetically alike, misshapen or diseased. The Scripps report was released earlier this month. Scripps’ review found there has been a rebound in the white seabass population, but that was due to favorable environmental conditions and new fishing regulations, not the breeding program. Don Kent, the president of Hubbs, referred questions to the state’s Department of Fish and Wildlife. In the past, he has said breeding white seabass is more challenging than other fish, such as trout. The report suggested it might be time to try another fish. It also accepted Hubbs’ argument that some fish are being called “deformed” that might not be. The panel suggested a third party should help mediate disputes between Hubbs and the state’s fish pathologist, Mark Okihiro, who has found what he considers severely deformed fish being readied for release into the ocean. Okihiro’s job is to make sure the fish going into the ocean don’t have a disease that could be passed on to other fish. While some fish are clearly deformed, the report says there is some legitimate disagreement about what constitutes a deformity. 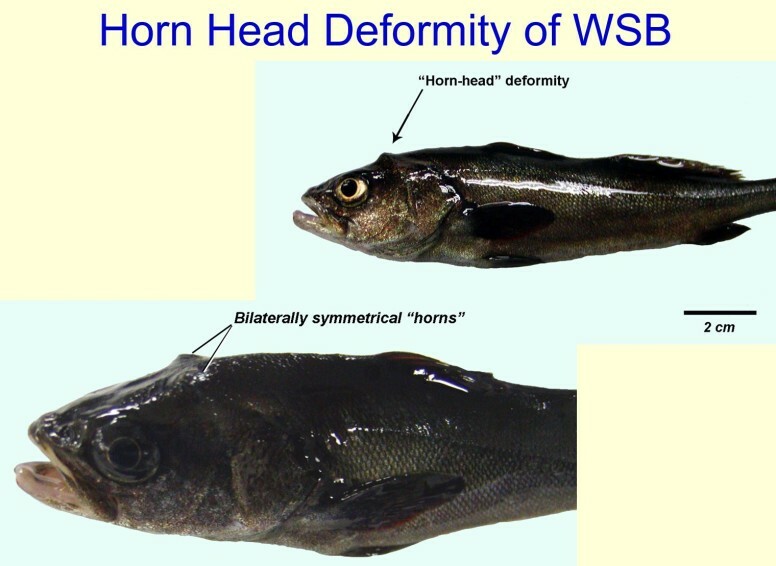 Some Hubbs fish have visible horns, deformed hearts that can be seen during autopsies, or are blind. A severely deformed fish is unlikely to do well in the wild. The blindness, in particular, is a serious problem commonly caused by captivity. On the other hand, other deformed-looking conditions have been found in wild fish. It’s unclear how much of a problem some of the conditions are, and whether Hubbs fish are more frequently deformed than wild fish. The breeding program runs on about $1.6 million a year, money that comes from the sale of “Ocean Enhancement” stamps on sport and commercial fishing licenses. Hubbs also puts in some of its own money to help run the program. Hubbs is a nonprofit started in 1963 by Milton Shedd, one of the founders of SeaWorld. Hubbs receives money from SeaWorld and several SeaWorld executives sit on Hubbs’ board of trustees. SeaWorld is uninvolved in the day-to-day operations of the white seabass breeding program. The idea for the breeding program came from Larry Stirling, a former San Diego assemblyman. In the early 1980s, Stirling found himself in the middle of a fight between commercial fishers and recreational fishers over the size of fishing net holes. Stirling realized the two factions were fighting hard because fish were in short supply. He decided to just hatch more fish. The scientific panel that conducted the report said the state has three ways to reform the program. It could continue breeding white seabass but try to improve their terribly low survival rate. Doing so would likely take more money and require an act of the legislature. The state could try to breed a species other than white seabass, perhaps California halibut. Or the state could just stop trying to restock the ocean. Valerie Taylor, who coordinates the breeding program for the state Department of Fish and Wildlife, said the state would hold a series of public forums this year to figure out what to do next. She said the state does not regret trying to restock the ocean.